The debut record from Halifax combo Glory Glory was an amazing tour of variable time signatures, pristine playing and catchy songs. The group’s newest release, the three song EP You Need A Heart To Live, sees the band pursue a more direct pop sound while still staying true to their roots. Glory Glory’s You Need A Heart To Live EP can be downloaded for whatever you’d like to contribute to the trio’s retirement on their Bandcamp page. 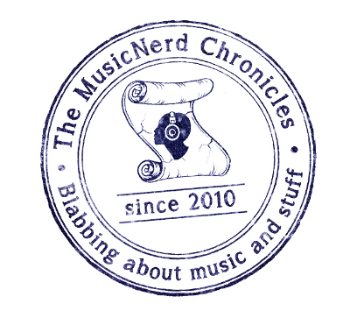 Glory Glory’s Adam Warren recently took the time to chat with The MusicNerd Chronicles with respect to what the band has been up to and where he sees the band going in the future. What do you see as the biggest aspects of growth or changes that the band has undergone between Zombies! and You Need A Heart To Live? Warren: I think the biggest changes have been on a personal level. When we made Zombies!, we were roommates, on top of being co-workers and band mates. That’s no longer the case, which has definitely relieved some pressure in the jam space and on the home front. It has forced us to become a little bit more organized (keyword being ‘little’) around rehearsing, because it’s not as convenient when you live across town from one another as opposed to living in the same apartment. Also, we now enjoy spending time together. Our sound has probably changed quite a bit since the recording of Zombies! I find it hard to be very objective about what we sound like; we recorded that album in the winter of 2009, so it’s pretty hazy for me now as far as what we were listening to, or what kind of music we thought we were making at the time. I do know that I’m less interested in being loud and abrasive and playing weird time signatures. These days, I am more interested in atmospheric sounds, and getting people dancing to our music and having fun while we play. Why the decision to release these three songs as opposed to putting them on your next full-length? Warren: That was kind of accidental. We were planning to release a new LP this past fall, and fully intended You Need A Heart To Live to be a teaser for a new record, but life got in the way. I got married, Gavin went to Hong Kong and Ryan did whatever he does when we’re not around. We had the music, but it became impossible to get the project done properly on our timeline and budget. That said it is always exciting for us to record and release something new – get a reaction and play new material live without worrying about overloading the set with songs nobody knows. A lot of the songs that on Zombies! had been around for a while (since 2006-2007 in some cases) and we recorded in 2009. We had never done a full-length or attempted to properly release anything before, so by the time that record came out in July 2010, we were already starting to look toward the next batch of songs. With You Need A Heart To Live, we had new recordings that we were excited about (with bed tracks recorded to tape – a first for us) and an opportunity to put them out there, so we did it. We are working on organizing ourselves and have a pile of new songs that we’re planning on recording very soon. We also have a couple of songs left over from the sessions we did for the EP, which we’re in the process of getting mixed and will release sometime in the summer. Is it important to keep the band on people’s minds and tongues and that is the appeal of pursuing more frequent releases? Warren: I think it’s definitely important to have people thinking about the band, and that was why we released the three songs we had finished. But I think frequent releases only really benefit you as an artist if you have a team in place to get the music out there and we kind of learned that the hard way with this EP. Of course, having said all that, it is nice to release something when it’s fresh and you’re still really excited about it. The songs on You Need A Heart To Live seem to boast a different sound compared to the songs featured on Zombies. A sign of where the band is headed musically or just more important to not remain stagnant in terms of defining the band’s sound? Warren: It’s both and I think that’s an excellent way to describe it – I think You Need A Heart To Live is a pretty good indication of where the band is heading, but I wouldn’t want to try to determine what the next record will sound like just yet. I do know that we have no interest in making Zombies! Part 2, but it will probably still be trippy pop music, and there will still be a guy with a high voice singing.